Drain cleaner is a popular product which many people rely on to clear their drains whenever a clog or blockage takes place. However, this product is not quite as wonderful as it might first appear, and in this blog, we will outline exactly why you should explore other solutions first. If your drains are not functioning as they should then our company is no more than a call away and can provide technicians to provide an emergency response 24 hours a day, seven days a week. You can reach us at 0808 164 0776. Drain cleaners are a corrosive chemical which will eat their way through any substance blocking your drain. However, the chemical does not discriminate, and will also start to disintegrate the walls of your drainage system. The cleaners come in both alkaline and acidic forms, although the acidic ones are generally only used by licensed practitioners. Either way, both are corrosive and will have the same effect on your metal or PVC pipes. Although they will not eat through the pipes immediately, they will significantly reduce their lifespan. Given enough time, they will cause small cracks and, in extreme cases, could cause a full-on burst or collapse. 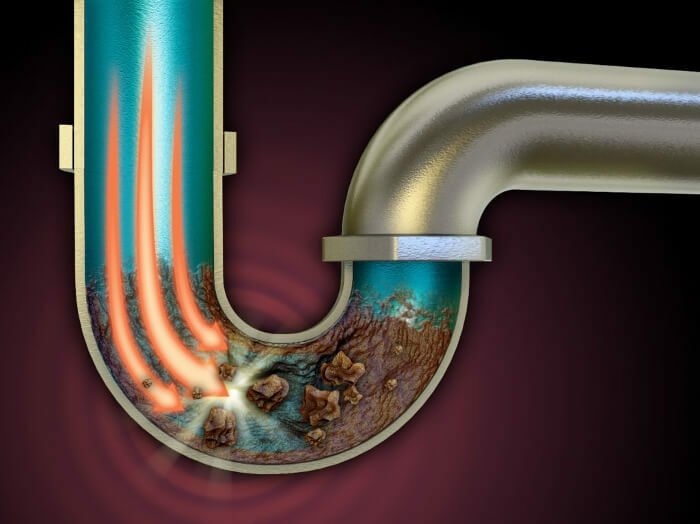 In short, while drain cleaners will clear a lot of blockages within your pipes, they will have the exact same effect on your pipes! Enzyme Cleaners – Enzyme cleaners are similar to conventual cleaning chemicals as they break down substances and objects within the pipes. However, they only work on organic debris and clogs, which limits their effectiveness. For example, if a collection of food waste has blocked your kitchen sink, then enzyme cleaners should make short work of the clog. However, if something like soap scum or one object like a child’s toy is in the pipes, they will have no effect whatsoever. Plunger – When we think of techniques to unblock a drain, plungers might be the first to come to mind. However, they are effective at one specific thing, and almost entirely irrelevant when it comes to anything more complicated. If something is blocking your pipes close to the surface of a toilet or sink, a plunger might encourage it to move along. However, if it is an issue lying more deeply within your system, the plunger will likely have no effect at all. Plumbing Snake – Plumbing snakes are similar to plungers in that they fulfil the same purpose, albeit in a different way. They work by feeding the head into a toilet and turning a handle to work it through the pipes, pushing along anything that it comes into contact with. However, like a plunger, its use is limited. Although it can be quite effective at clearing a clog, it can only work as far as the head itself will go. As a result, anything deep within the pipes will be out of its reach and will remain a problem. 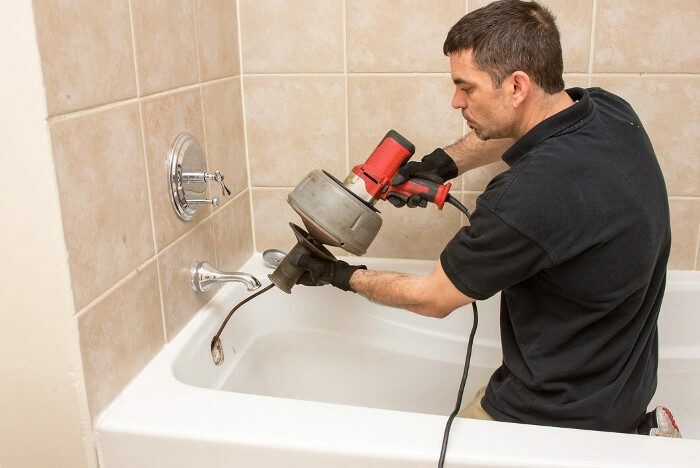 The only fool-proof method of clearing away a clog within your drainage system is by hiring our professional drainage technicians and their drain-jetting equipment. Not only is this method the most effective, but it is entirely harmless to the integrity of your pipes. The process involves using high-pressure water equipment to blast water throughout your drainage system. The water will quickly break down clogs such as build-ups of fats and greases and will easily cut through even complex blockages such as invasive tree roots. However, while the water will make short work of anything inside, it will leave the pipes entirely unscathed. Regardless of whether you have PVC pipes or old metal ones, the water will merely bounce off the sides and carry on down the pipes. Another fantastic benefit is the fact that it is incredibly un-invasive. All we need is an access point to your drainage system; we do not need to carry out any form of excavation which can be not only disruptive but also expensive. We have drainage technicians available around-the-clock which means we are always on hand to offer a response in an average of 1-2 hours. To speak to one of our operators today, give us a call now on 0808 164 0776. Alternatively, fill in our contact form, and one of our operators will be in touch as soon as possible.